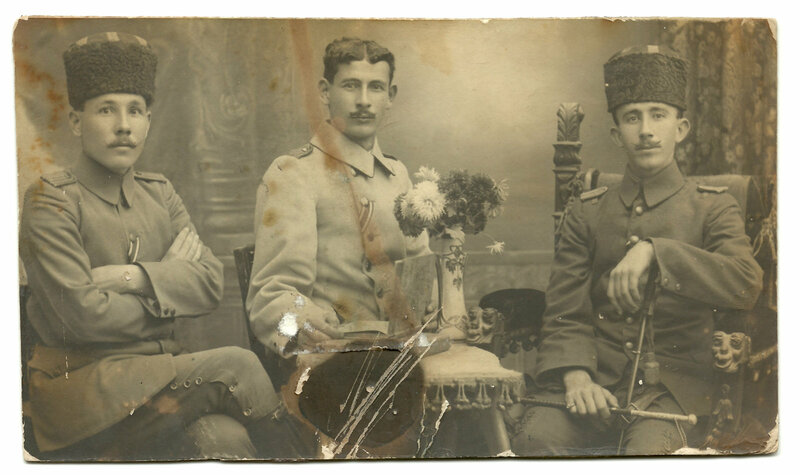 Haj Amin Al-Husseini (on the right) with his nephews during his time serving in the Ottoman army. 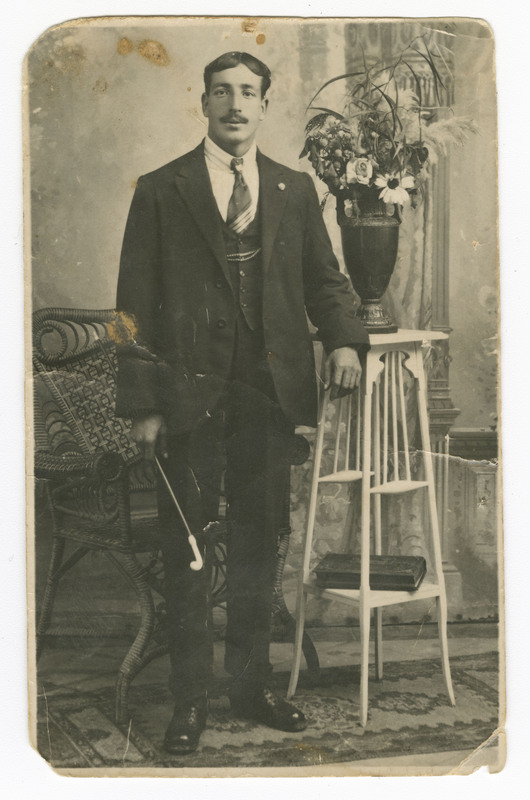 Location unknown, 1914-1920. 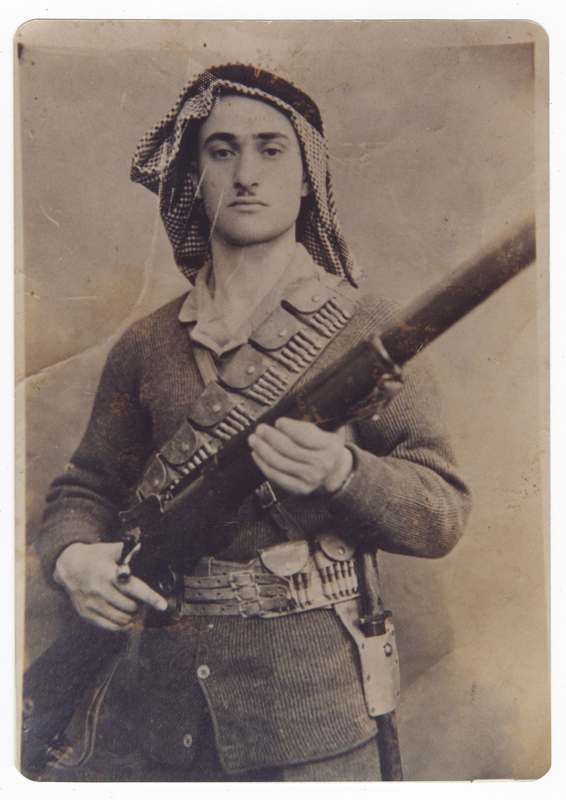 From the family album of Said Husseini. 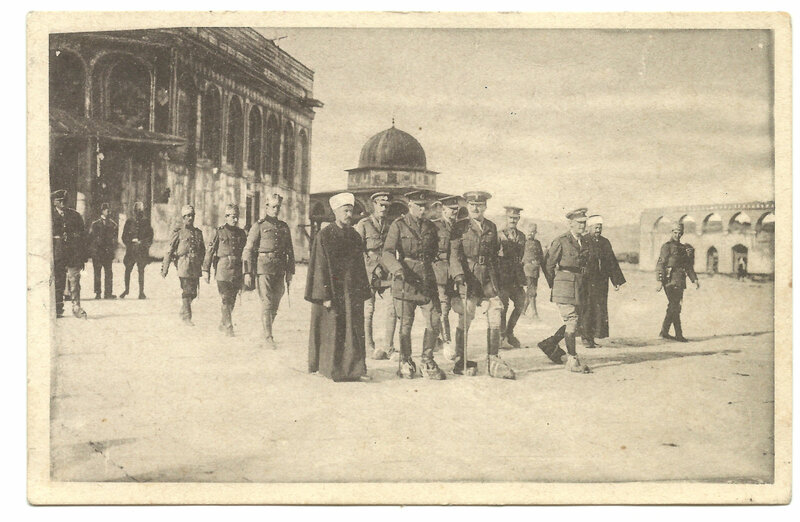 Mufti Kamil Taher al-Husseini welcomes General Allenby during his visit to Al-Aqsa Mosque. 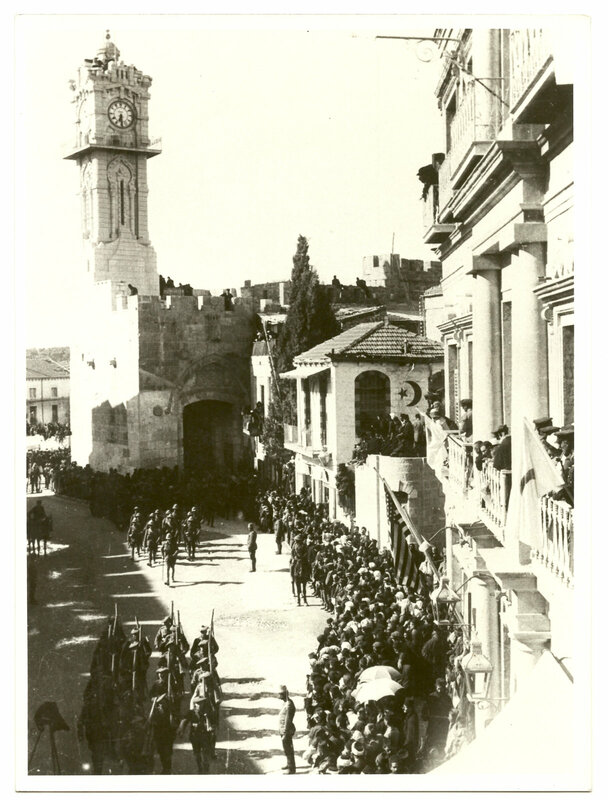 Jerusalem, date unknown. 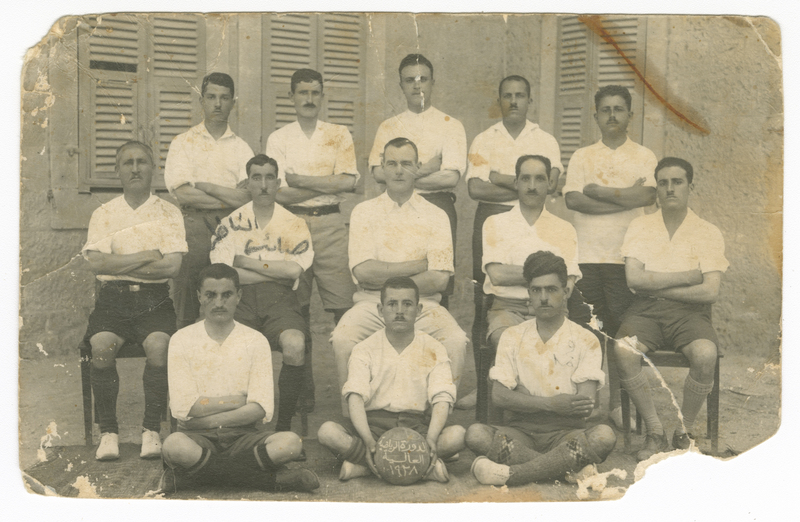 From the family album of Said Husseini. 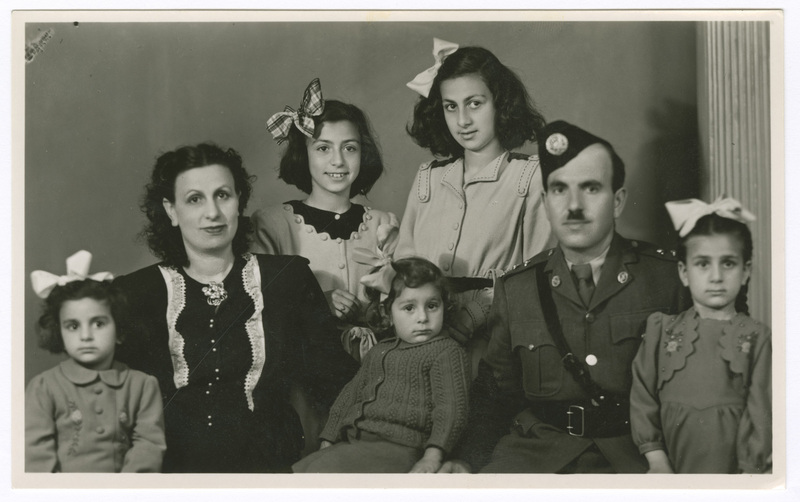 A photograph of Daoud Mikhail’s family, after the Nakba. 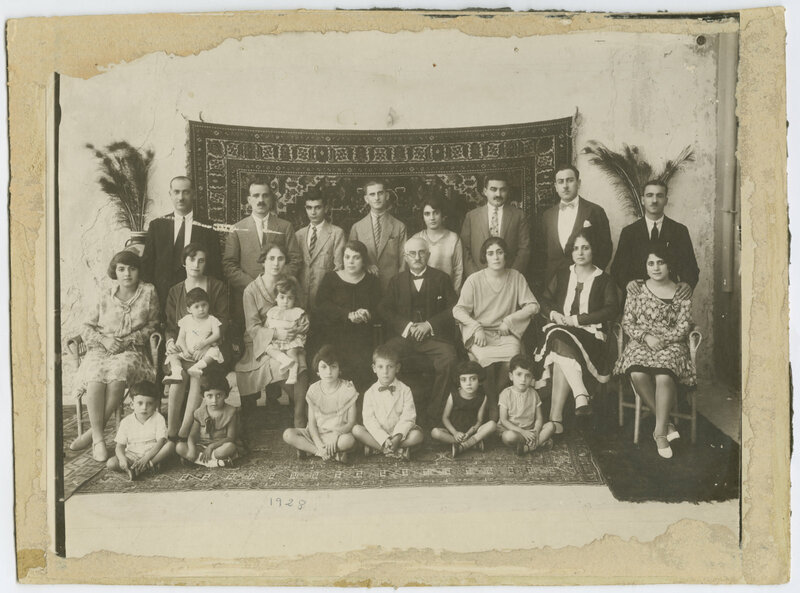 He sent his family to Amman during the Nakba, while he himself stayed in Tiberius until it fell, at which point he too went to Amman. 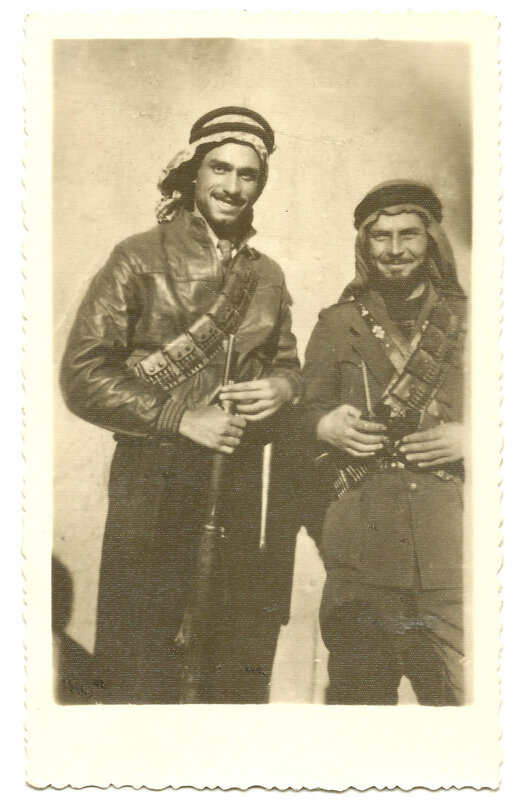 There he joined the Jordanian army, and took part in the fighting against Zionist gangs in Hebron. 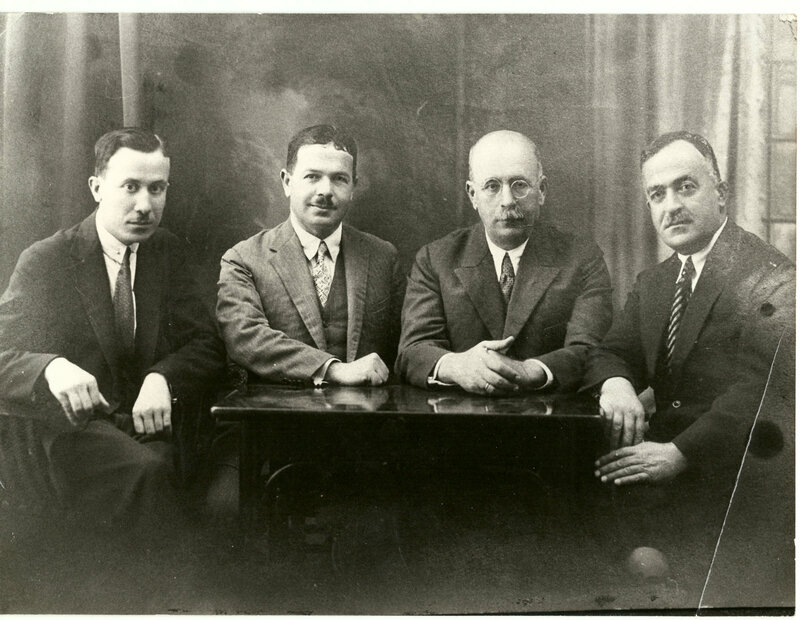 Amman, 1949. 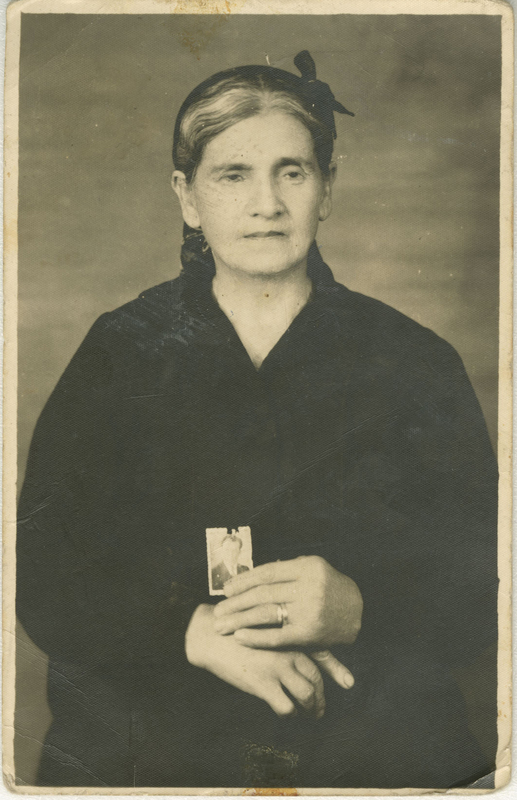 From the family album of Abla and Alfred Tubasi. 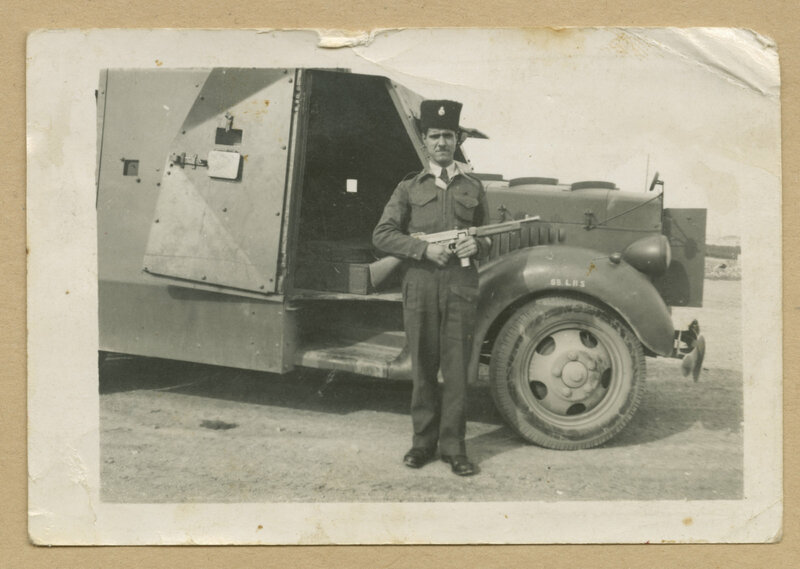 Two military officers during their service as border guards in Eastern Transjordan near Majame’ bridge, north of River Jordan, which was bombed by Zionist organisation Palmach in 1946. 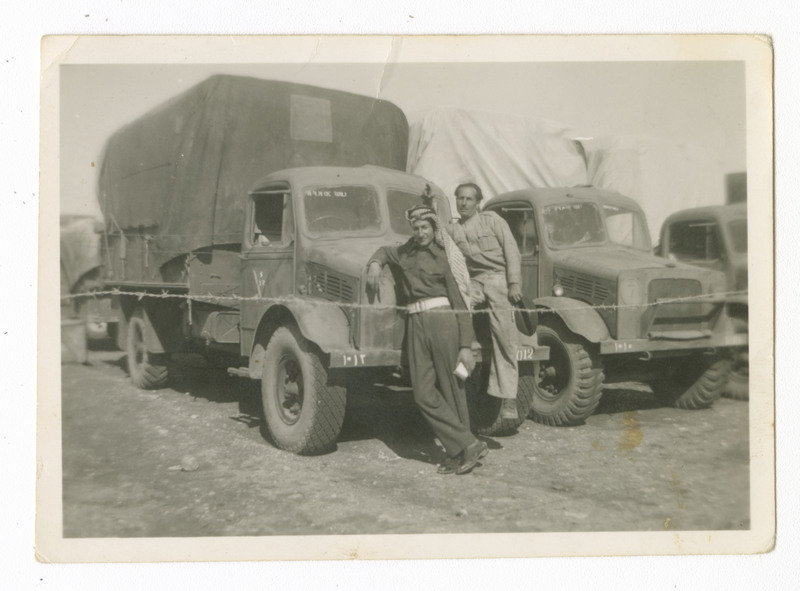 Majame’ Bridge, 1946. 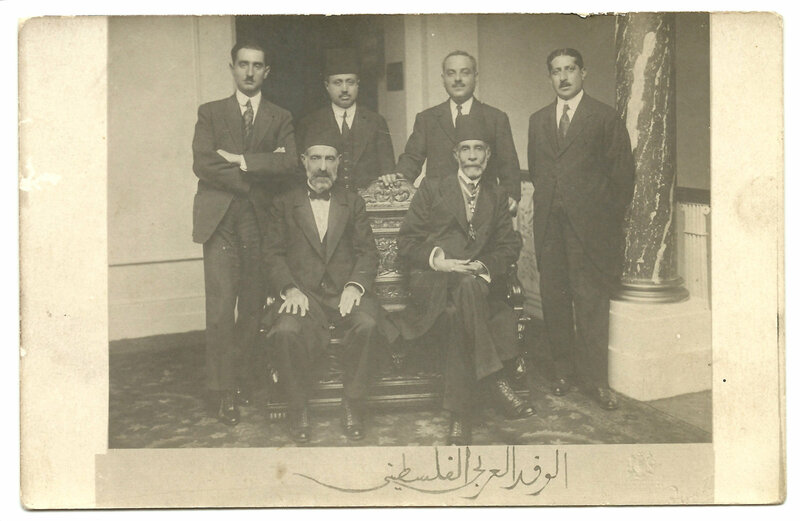 From the Irshaid family album. 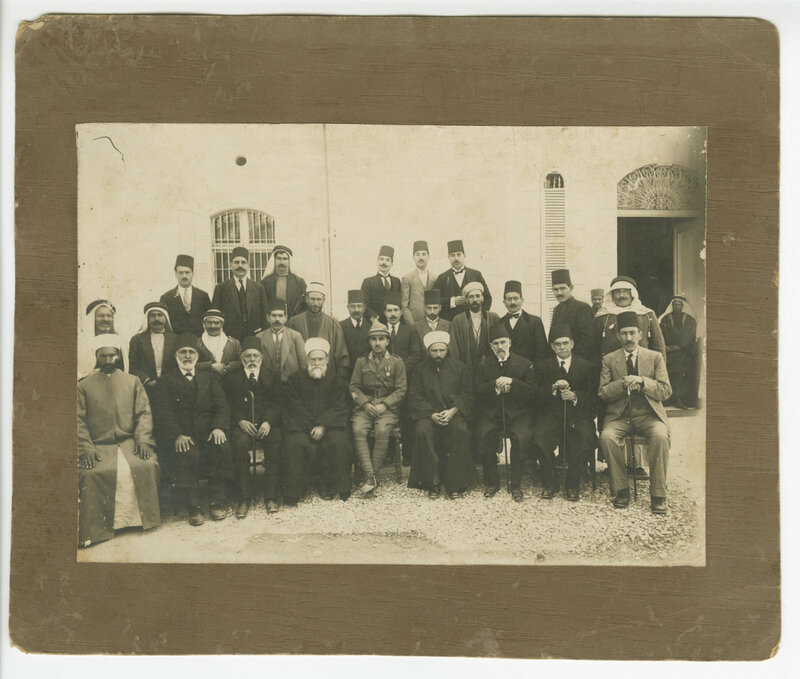 This entry was posted in Uncategorized and tagged Family Album, History, The Palestinian Museum, المتحف الفلسطيني, البوم العائلة, تاريخ by The Palestinian Museum. Bookmark the permalink.